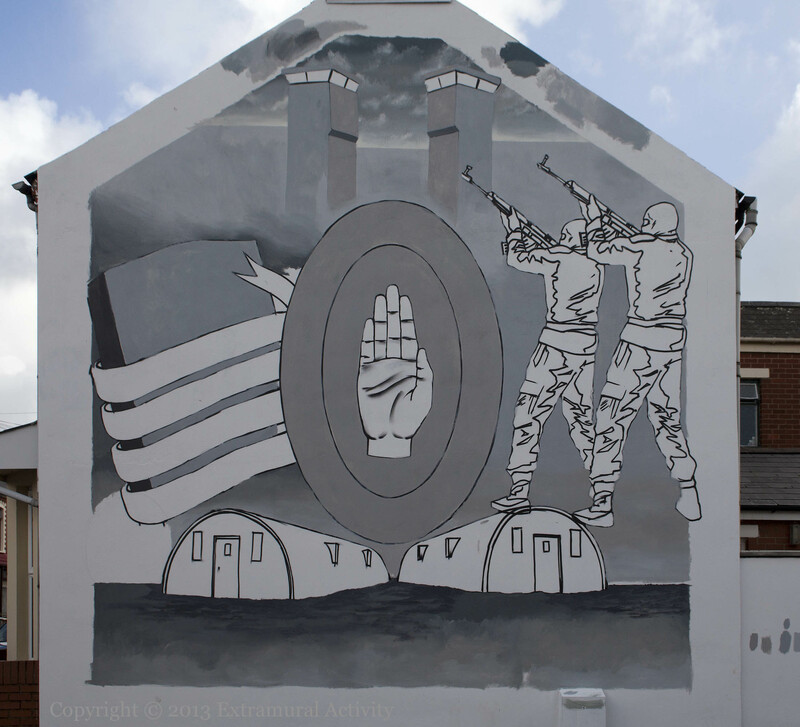 As can be seen from the initial cartoon for this mural, below, it was originally intended to have two hooded gunmen firing a funeral volley, but because of protest by locals (see, e.g. NewsLetter) this was changed to two unmasked men, one of whom is clearly of the WWI era. 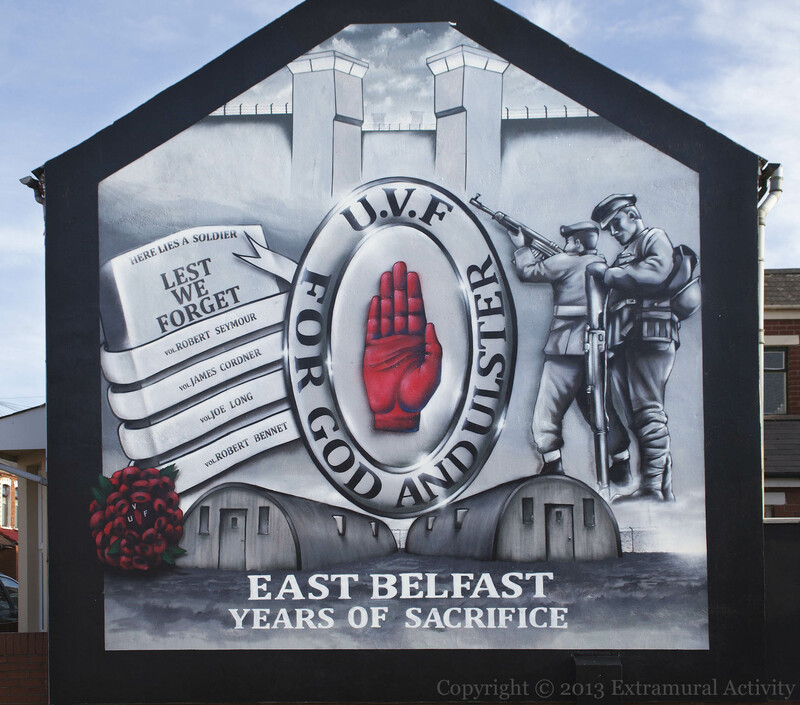 The Nissen huts and towers of Long Kesh, however, remain in the image, which thus expresses the complex relationship of loyalists (and especially the UVF, whose members Robert Seymour, James Cordner, Joe Long, and Robert Bennett are listed on the left-hand side) to the British army. As Bill Rolston put it: “How could one display visually the value of opposing British policies in the name of remaining British? What could be the symbols of such a schizophrenic message? (Drawing Support (1), p. ii). The side-wall to the right of shot is painted solid black but otherwise remains unfinished as of the end of 2013.